A month or two ago, I wrote an article about the fundamentals of lighting and discussed core lighting techniques used for both photo and video to better understand artificial light both in a studio or on location. Continuing the trend, I wanted to answer the question that so many people will often call and ask about when looking to get into lighting. So let’s look at the various lighting tools available and help determine which one is best for you. In recent years, the lighting world has become more and more complicated with a forever growing variety of lighting. 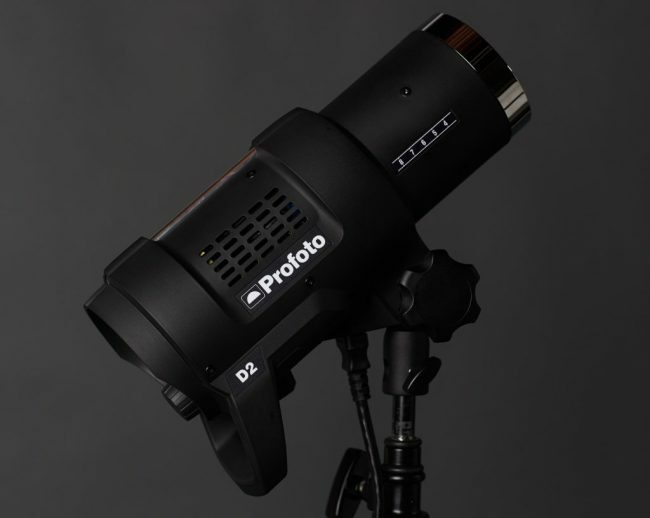 Where once it was just Fresnel’s (of both the Tungsten and HMI type) and strobes, it has now evolved into LEDs, fluorescents, fusion lights, and a dozen other options that work well for both photo and video. Certainly, for those who are looking to transition into lighting, this can be incredibly complicated, so let’s go over the various lighting options available for both photo, and video. Without a doubt, the most common, as well as more tried and true lighting available for photography comes as strobe kits. Strobe lights aren’t like what you might find in a nightclub, but share the name for achieving similar results – firing a quick blast of light when the shutter opens, and turning back off by the time the shutter closes. The biggest benefit of this is that you get an incredible amount of power…but let me explain further. Think of the sun as a light that is always on. Increasing your shutter, or stopping down your aperture will decrease it’s power on the sensor because the sensor will be exposed to light for a shorter amount of time (or through a smaller entry point). Strobes, however, have a flash duration of anywhere from 1/10,000th of a second to 1/50,000th of a second depending on the model. So shutter speed has no bearing effect on the power of the light (until you increase past sync speed, which is a camera shutter issue, not strobe issue). This means when it comes to photography, the light power potential of a strobe is better than anything else available. The biggest downside of strobe lighting is that because of its quick ‘on/off’ design, it’s useless for video production. 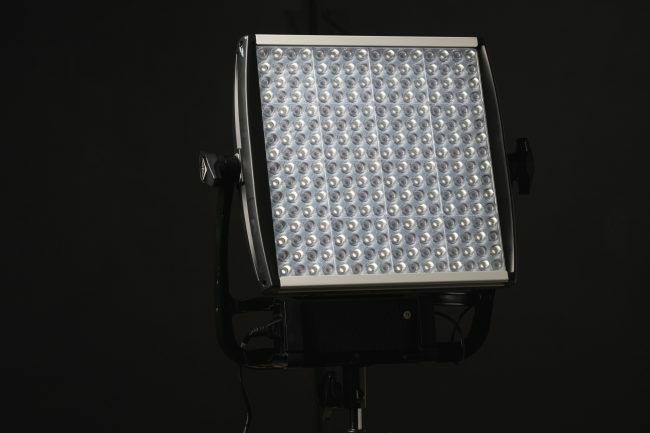 While many of these lights have modeling lights that are consistent powered and could be used for video functionality, the practicality does not compare to other video lighting available. Among the most common lighting in recent years, comes in the form of LED panels. These range in size and price, but are multiple LED bulbs laid on out on a board, with the options to diffuse the lighting, as well as change color balance and power settings. The biggest advantage to LED Panels is that they’re an all in one solution for most people. Depending on the size, and the included diffusion panels, you’re usually able to get away with using the panel itself, without any need for a softbox or other light shaper. Additionally, they generate virtually no heat whatsoever, so are perfect for closed and confined spaces, where heat could be an issue. Perhaps the biggest downside to LED panels is that they’re not very powerful. While they seem powerful when being turned on to max brightness, you’ll find that the capable power is diminished significantly when used in bright sunlight. That is why these are used in studios, or in the evening or the shadows. Another downside comes in the fracturing of the shadows. Because these panels are multiple light sources laid out in an array, the shadows will often have a distinct quality to them that is regarded as unpleasant. More expensive models will often fix this issue, by using better diffusion options and positioning the bulbs closer together. However LED panels isn’t your only option when using LEDs for lighting in both photography and videography. Another common option is single point LEDs, which is a much larger LED, that has wattage outputs similar to strobes and tungsten lights. Single LED systems are usually incredibly small and light, which makes them the perfect lighting tool when traveling on location. Additionally, because of their single point lighting, you do not have the same fracturing you’d find in the shadows, and maintain a consistent gradient from light to dark. Another added benefit is that with their design, you’re able to find an extensive range of modifiers to use with the lamps, and the LED design means that little to no heat is generated from the units themselves. Much like LED panels, the biggest downside is going to be power. While this is rapidly changing, LED light output cannot match that of strobes, or HMI lamps, but have been rapidly increasing in output over recent years. While fluorescents are becoming more and more uncommon in the video world, as people are slowly transitioning into video, they are still one of the most common lighting fixtures you’ll find on set. The biggest advantage when it comes to fluorescent lighting is their incredibly soft output of lighting. Fluorescent manufacturers such as Kino Flo have made such an impact on the industry because of their ability to create soft and even light that is perfect for interviews and a variety of other uses. In addition to being soft lighting, fluorescents are great because of their zero heat output. Meaning you can light subjects without the worry of heating up the shooting space with your large light banks. In addition to being popular on film sets, fluorescent lights are also commonly used by photographers such as Martin Schoeller, Peter Hurley and more. The biggest downfall to fluorescents is their size. With the glass bulbs, fluorescent banks are not easy to store, because of their large size. In addition to their size, they’re generally regarded as pretty fragile by design, because of the exposed bulbs in the front. All of the lighting up until this point, have been categorized for either photo or both photo and video. These next couple lights are sort of designed for video only, solely because of their size and price. While they could be used for a photo shoot, they’re technically designed for video work only and excel most when on a film set. Tungsten lights are also commonly referred to hot lights, because of their extreme heat output along with the light. While Tungstens are becoming less and less popular on film sets, they’re still commonly used. The biggest benefit of Tungsten lights is their consistency in color and output. Designed to be color consistent through the entire lifespan of the bulbs, Tungstens are known as being the tried and true of the video world. Along with their consistency, is their high CRI (Color Rendering Index) output, giving you exceptional color rendering. Tungstens are becoming less and less used on film sets because they do have a few downfalls that make other options available. The biggest downfall is the heat output of the lighting. Tungsten lights are related to the incandescent bulbs you will find in your home and office, and produce high heat output when left on for a long time. In addition to this, Tungstens will often be warm in color and need high-quality color correction filters to change the white balance output. 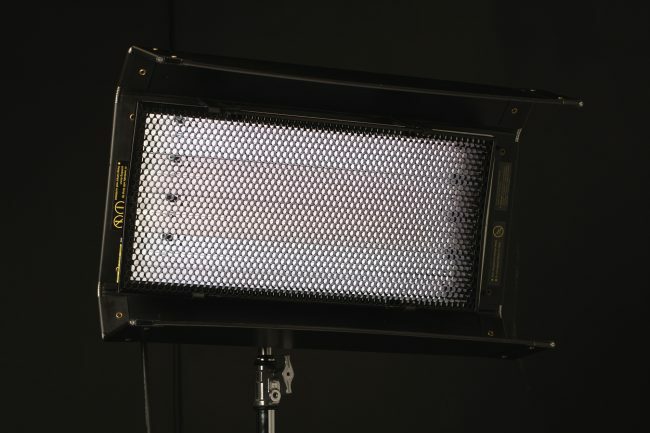 HMI lights (Hydrargyrum Medium-Arc Iodide) are a common light source used in productions and are known for their incredible light output and power. The biggest advantage to HMI lights is their output of light. Averaging about 95 lumens per watt, HMIs are among the most efficient lighting options, and usually, have 4 times the power of typical Tungsten lighting options. 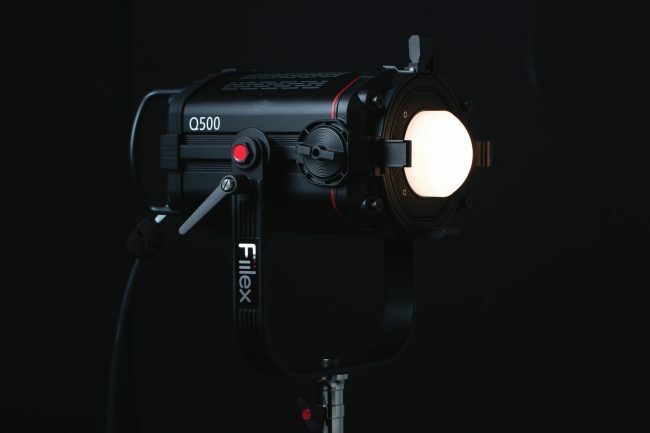 Because of the power, these lights are most traditionally used to light entire scenes and used as a massive fill light to light up large areas on set. The biggest downside to HMI lights is their high cost. Of all the lights listed here, HMIs are the most expensive. And because of their high light output, HMIs usually require a ballast as well as high output power options to adequately light the bulb. Also because of their high power output, HMIs have limited power range, and inconsistent color temperature when powering down. In addition, HMI will give you a sunburn, since they output ultraviolet light. The age old question is what is the best lights to use when shooting, but sadly, there is no right answer. When shooting photography, strobes will always be the most obvious choice available, but the options get far more convoluted on the video side. 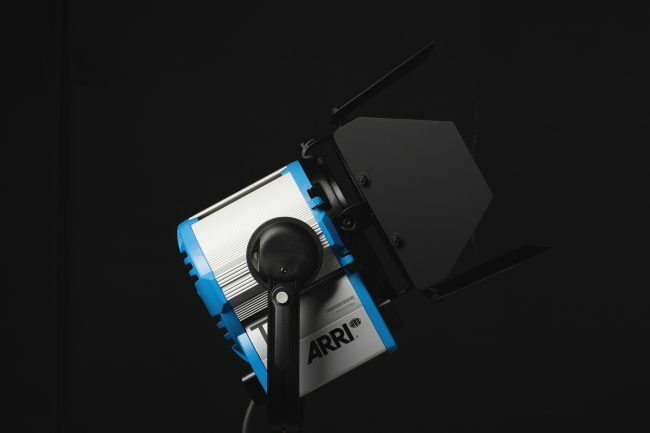 HMIs are fantastic for their incredible light output, and Single Point LEDs are quickly replacing the need for Tungsten lights on set. But each light has its own set of advantages and disadvantages, with each videographer having his or her own allegiance to particular types and brands. 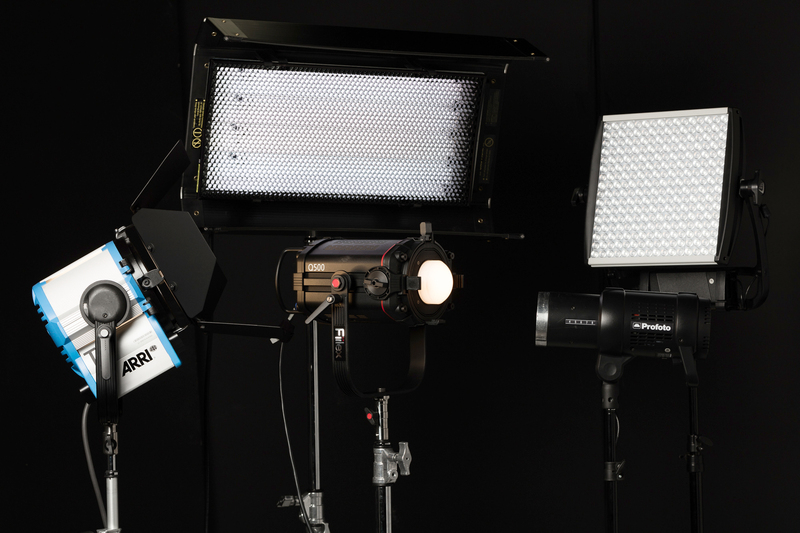 So let’s turn to the comments; what are your favorite lights to use in photo and video productions and why? I still also prefer Tungsten over something like LED panels. However a lot of the single point LED options have came out in recent years and they look really impressive. The other advantage of fluorescents—as long as you use Kino or GE’s cinema lamps—is that they work pretty synergistically with digital cameras and you get very nice skin tones. If you can get used set inexpensively they’re definitely worth buying even though they’re not the latest and greatest. While I’m still a big fan of tungsten lighting for video, I wanted to point out another down side to them besides heat and that’s bulb life. While not a deal breaker you definitely need to have extra bulbs in case one goes on you. Also some light bulbs are very fragile when powered on so even a small bump can destroy the bulb. Wow, Great Piece, thank you! Very well laid out info! Been wanting to play with constant light, this gives me an idea where to go.